Television Advertising Agencies & Agency in Delhi, TV Ad Agency in Delhi, TV Commercials Advertising Agencies in Delhi. Television has the highest number of audience in today’s world. Any TV Advertising Commercial which plays on a TV has much greater impact than any other media. Hundreds of channels running 24*7 have the attention of various audiences captured for viewership of the entertainment variety that is presented on it. TV are present at all public places and keep running programs for all types of people. A TV slot is a small duration of several seconds for which the TV Advertising Commercial commercials are broadcasted. Depending on the popularity of the program the slots have high ratings. 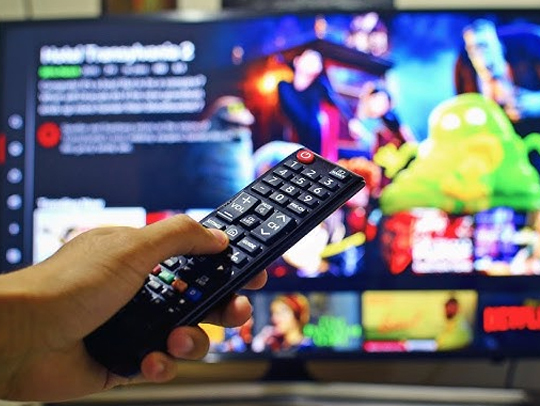 A TV Advertising Commercial which is broadcasted during these high rating period promises maximum viewership for the product in the commercial. TV Advertising Commercials can be made from several seconds up to a minute in duration to display product information. The type of commercials has matured in all these coming years, as in earlier days when the commercial has to be explanatory and of longer duration. TV ads now speak a lot in few seconds and convey the message from the product in an efficient manner. Since TV has many channels catering to an audience of particular interest like sports , entertainment , news , kids and knowledge oriented , its provides an opportunity for every business to showcase its commercial for the targeted audience through the specialized channel and program. TV has even become interactive with the clients using SMS service, gifts, prizes and merchandize, all which is sponsored by businesses trying to promote their products. TV Advertising Commercial has even become a direct source for selling products through telemarketing and teleshopping. Hundreds of agencies with state the art of technology are available to cater all business needs in creating a successful marketing strategy of which TV commercial is an important part. A complete package showcasing business profile and products can be possible in a TV commercial. A whole new world of entertainment and business is opening up within the idiot box called television.